Day 6 was the busiest day yet with no fewer than sixteen Pacific island swimmers hunting out personal bests and national records for their nine respective countries. Once again, a lot of the swimmers can point to successes gained on the world stage, including national records and personal bests, as their thoughts and training plans begin to turn toward qualification for the 2016 Olympic games in Rio. 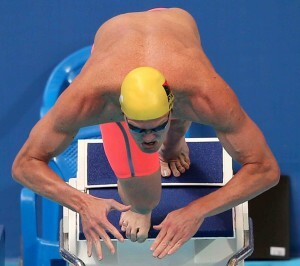 It was also the fastest day as the Men’s 50 m freestyle got under way. Sometimes the best is saved until last. Last in the pool on Day 6 for the Pacific islands of Oceania wasVictoria Chentsova of the Northern Marianas. She was taking part in the longest distance of the week, the 800m Freestyle. Victoria claimed her second personal best and national record of these championships when finishing in 9 minutes 48.87 seconds. Nearly 11 seconds inside the previous best. A mammoth field of 113 swimmers opened Day 6 in the Kazan Arena. 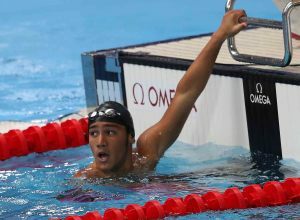 Takumi Sugie of the Northern Marianas was one of seven Pacific islanders in the Heats of the 50m Freestyle, the fastest race in the pool. A holder of three national records, the unassuming young swimmer was aiming to lower one of those records in this discipline after clocking 27.59 seconds at the recent Pacific Games in Port Moresby. He was not be disappointed as he hit the wall at 27.26 seconds, clipping a third of a second off his own record whilst finishing second in the Heat. 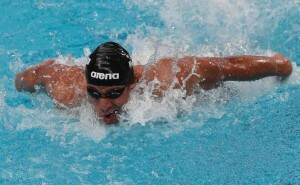 Day 6 eventually brought the first race, in the 50m Butterfly, for Angel De Jesus, of the Northern Mariana Islands. Her start was quick, with a reaction time of 0.64 seconds which was 8th quickest out of all 64 participants. Her strong swim continued and she finished a respectable third in her heat with a time of 33.86 seconds; better than her previous best of 34.99 seconds. It was a very happy Dirngulbai Misech of Palau who entered the Mixed Zone after her 50m Butterfly Heat. Among the first to hit the water was Palau’s Shawn Dingilius Wallace. Competing in the Men’s 50m Freestyle, with six other Pacific Islanders, he started in heat two with Northern Mariana’s Takumi Sugie. After previously achieving a personal best, on Day 4, in the Men’s 100m Freestyle, Dingilius Wallace was intent on ending the week on a high. With this in mind, the 21-year-old was focused on the task in-hand, and with a quicker reaction time than earlier in the week, he seemed determined to give his all from the start. The finish saw him touch the wall first and set a time of 27.02 seconds. “That was awesome. That was my new national record right there”, he beamed. The sense of pride and joy was evident. “I had a great swim and I ended up seeing myself on the big screen so I had a good day today”, he laughed. “Today is my highlight”. When asked how it all went to plan he replied: “I executed what I needed to do...I went out and brought it home...If I hadn’t taken a fourth breath I probably would’ve got a 26.90 (seconds) or something like that..but I’m still pretty happy with what I got”. The Championships will be one to remember for Shawn, with an impressive two personal bests and a national record. Day 6 brought high hopes for Papua New Guinea’s Sam Seghers. 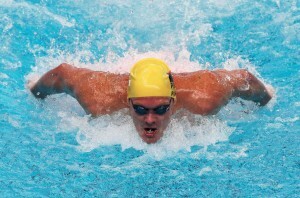 Having set a personal best only two days prior in the Men’s 100m Freestyle, the young athlete’s focus turned to the shorter, Men’s 50m Freestyle. He clocked a time of 23.46 seconds, beating his Pacific Games time of 23.78 seconds and setting a new personal best at the same time. 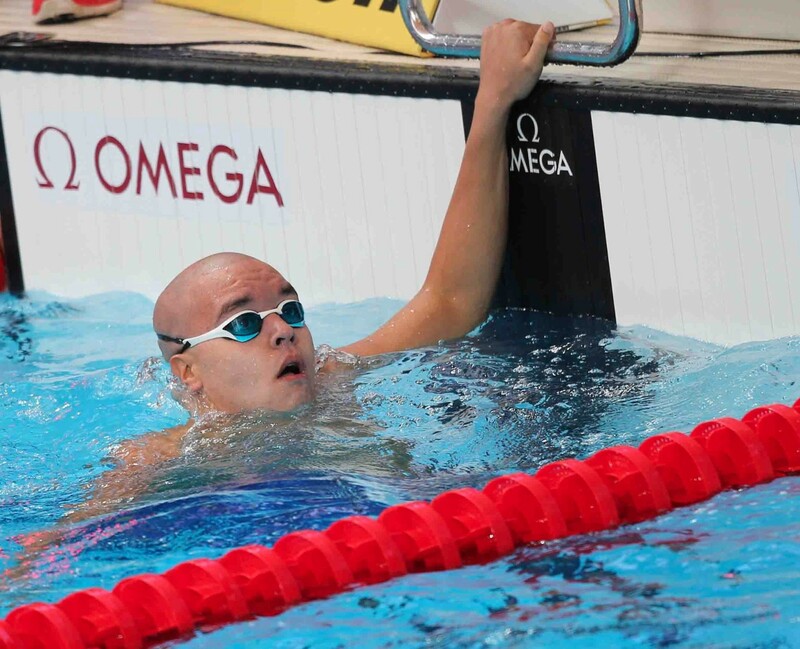 His time was 0.68 seconds off team-mate Ryan Pini’s National Record time, something he has the belief to beat; “It’s definitely the aim, I’ll get there eventually”. “I took a breath at the wrong side...but that’s all part of racing. You learn something new every day”. However, he did take positives from it. “I think my start and my finish went really well which is something I’ve been working on... especially my dive”. Another PNG swimmer, Tegan McCarthy, was a picture of concentration as she waited for the start. In Heat Two, the Women’s 50 Butterfly. Her start was good. A reaction time of 0.69 seconds was as fast as the quickest swimmer in the heats, Sarah Sjoestroem, the World Record Holder of Sweden. “At the start I felt good but at the end I lost it a little bit”. Her eventual time came in at 30.27 seconds, marginally off her personal best. “It was just off my PB so it wasn’t as I hoped it would be, but it was alright”, she mused. In terms of improvement she identified; “holding my stroke for the 50 (m) and pushing harder”. After previously competing in the Mixed Medley Relay and the 50m Butterfly, it was now time for Ryan Pini of Papua New Guinea to compete in its longer version, the 100m. “It was good, up there with what I’d done this year”, he said after receiving a time of 53.02. “I think I executed it pretty well”. He highlighted his area of improvement as fitness. “For me (an improvement) it’ll be fitness. The last two and a half months have been really challenging. I had my appendix removed and a fairly bad back injury and all considering I’ve done really well”. Having finished 30th out of 73, “very well” was a more than fair assessment from the inspirational swimmer. It’s never easy to wait all week whilst your team compete, before you get the chance to test yourself in the pool. Annie Hepler, Marshall Island’s Olympian has had to remain focused until her appearance on Day 6 of these championships. In Annie’s view the wait has been helped by FINA’s introduction of an Athletes’ Village in Kazan. Following on from a personal best time in the 100m Freestyle earlier in this competition, Giordan Harris was hoping for another success story for the Marshall Islands on Day 6. It was the turn of the 50m discipline for him. The 22 year old, who took up swimming in the 3rd grade thanks to a friend encouraging him, was targeting a mark below 26 seconds to gain a personal best (PB). 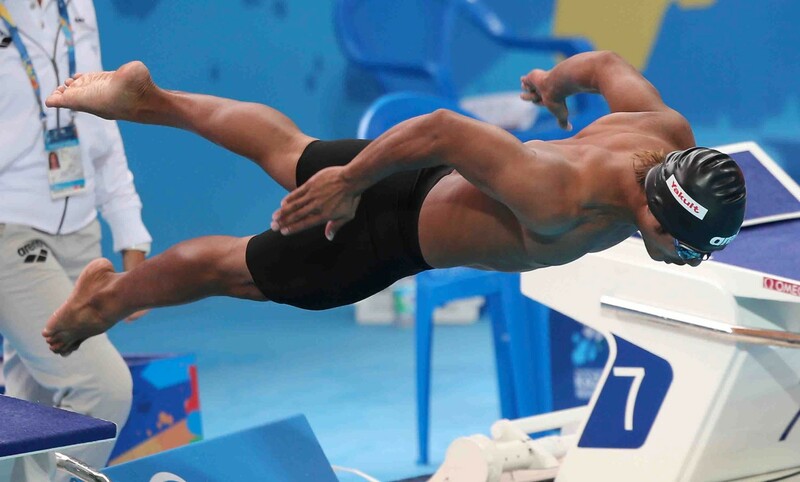 The Kazan Arena played host to a second performance from Meli Malani of Fiji, in the Men’s 50m Freestyle. The race itself saw the Fijian compete with six other Pacific Island athletes, and post a time of 23.78 seconds. The time put him second amongst the athletes from the Pacific Islands, however he wasn’t satisfied with his performance. 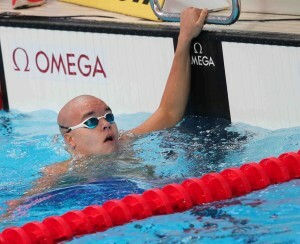 Overall, “I enjoyed my 100m Freestyle...It’s tough, there are so many world class athletes. People like us struggle to make it to the semis but hopefully in the next World Championships as long as we keep working hard on our focus and our goals, we might just be there in the next one”. Ever cheerful Jagger Stephens of Guam came into Day 6 of these championships on the back of a national record gained in the 100m Freestyle. Jagger, like all the other swimmers, is aware of the endless hours, commitment and time required to compete at this level. Even then the difference in times can be minuscule after all the hard work. This was one such occasion. This was his reaction immediately after his performance in the 50m Freestyle in posting a time of 23.84 which was only 0.09 seconds shy of a personal best. Winter Heaven rounded up Samoa’s programme for the championships in Kazan. Winter broke the national record in the 100m Freestyle earlier this week and mentioned at the time, that whilst he was looking forward to the 100m Butterfly he was working on a few things technically to produce his best performance possible. 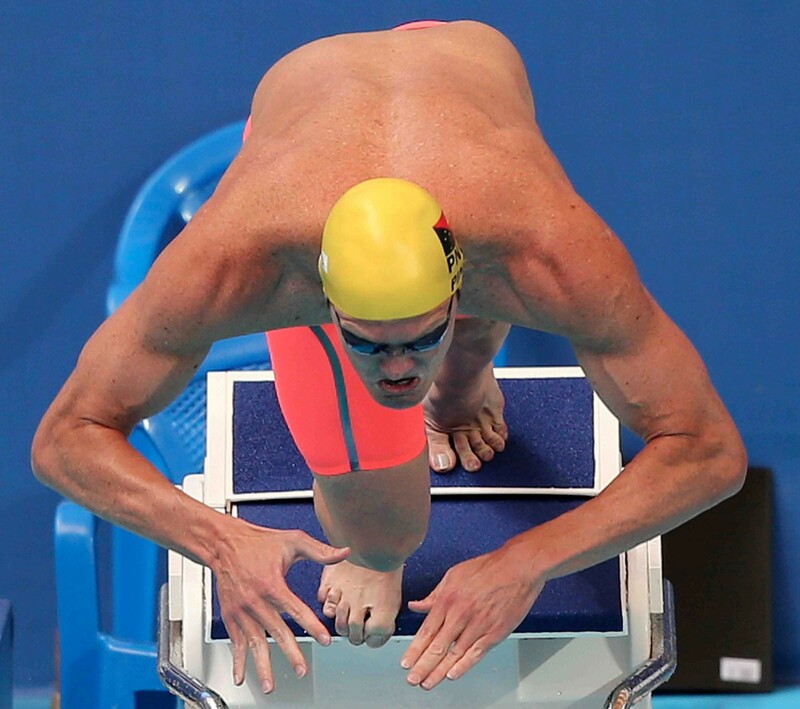 his national record which he set at the 2014 Oceania Championships in New Zealand. Being so close, but yet so far, was the initial frustrated reaction as he reflected on the last minute in the pool. Ifa Paea’s second race for Tonga at these championships came in the Men’s 100m Butterfly. His Commonwealth Games performance earned him a time of 55.62 seconds setting a new Personal Best (P.B.) and National Record. His finishing time on Day 6 was just outside that mark in a time of 55.80 seconds. “ I really thought I could go under 55 seconds. I felt really, really comfortable but I thought I could go faster. I’m not too disappointed. It’s only the second time I’ve done a 55 (seconds). At just twenty-one years of age it is an incredible achievement to compete in one World Championship, but to compete in two is a sign of hard work and commitment. This is the case for Tonga’s Irene Prescottwho competed two years ago in Barcelona and is now attending the Kazan version of the FINA swim meet. She started swimming aged eleven and cites her first World Championships, in 2013, as her most memorable event. It was here she set the time of 30.97 seconds. “It was alright I thought I could go a little bit faster but it’s my first race. I think my start was good but I lost the catch of the water at the end but it was alright”. 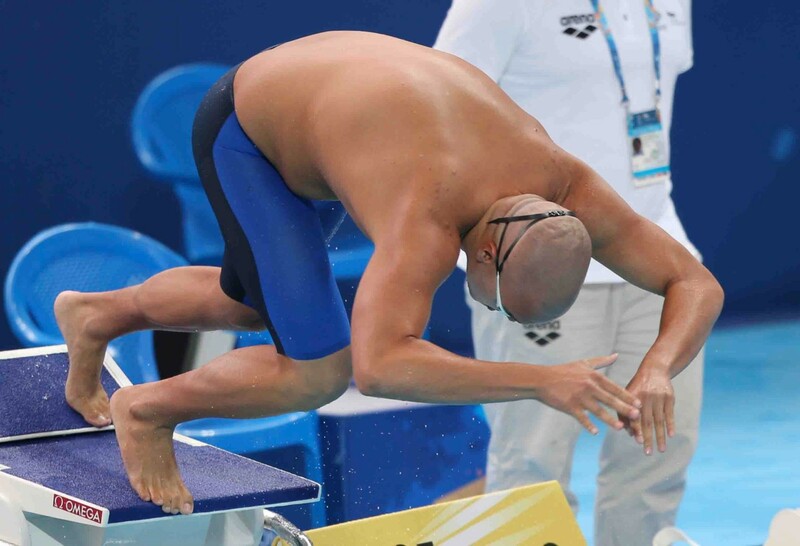 Dionisio Augustine of the Federated States of Micronesia was determined to overcome his 50m Breaststroke disappointment earlier this week, in his final race at these championships. The 23 year old placed 15th at the Pacific Games in a time of 27.10 seconds and was hoping to get near that mark in Heat 3 of the 50m Freestyle. Dionisio, came home in 26.92 seconds, a little outside his personal best of 26.75 seconds. Dionisio has now completed his racing for this week and having competed at a number of major championships in recent years including the World Short Course Championships at Doha, then this experience will stand him well, despite his initial disappointment of missing out on another personal best.